"...the Greek tradition of the origin of their philosophy in Egypt undoubtedly contains more of the truth than has in recent years been conceded." The most notable currently known ancient Egyptian philosophers were Imhotep, Ptahhotep, and Amenhotep. Born in the 27th Century BC in Memphis, Egypt, Imhotep is well known for his work as an architect, astrologist, physician, and vizier. Son of the architect Kanofer and his wife, Khreduonkh, he is credited with the design and construction of the step pyramid built at the necropolis of Ṣaqqārah in the city of Memphis. He also served as vizier to the pharaoh, Djoser, in the Third Dynasty (c. 2980-2900 BC). Ptahhotep, like his predecessor Imhotep, served as vizier to the pharaoh in the late 25th, early 24th century BC. 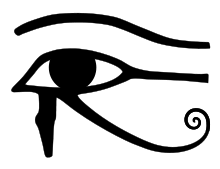 Ptahhotep is known for his comprehensive work on ethical behavior and moral philosophy, called The Maxims of Ptahhotep. The work, which is believed to have been compiled by his grandson Ptahhotep Tshefi, is a series of 37 letters or maxims addressed to his son, Akhethotep, speaking on such topics as daily behavior and ethical practices. Yet another vizier to a pharaoh, Amenhotep was also an architect and ancient philosopher. Son of Hapu, he was revered for his knowledge of the ancient ways of the Egyptians. In the court of King Amenhotep III, he was considered an insightful philosopher, a wise man, and sage. Demotic (late Egyptian) texts contain dialogues between Thoth (the Egyptian god of knowledge) and someone who is called "he-who-loves-knowledge", which is quite similar to the greek word philosophos. ↑ Bernal, Martin (1987). Black Athena: Afroasiatic Roots of Classical Civilization, Volume I: The Fabrication of Ancient Greece, 1785-1985. Rutgers University Press. ISBN 978-0-8135-1277-8. ↑ Breasted, J.H. : Development of Religion and Thought in Ancient Egypt, Pennsylvania University Press - Pennsylvania, 1972. 1 2 3 Asante, Molefi Kete (2000). The Egyptian Philosophers: Ancient African Voices From Imhotep to Akhenaten. Chicago, Illinois: African American Images. ISBN 0-913543-66-7. ↑ Browder, Anthony (1988). 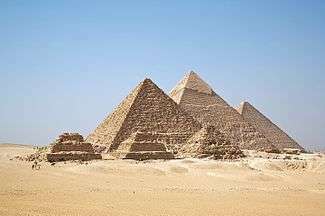 Nile Valley Contributions to Civilization. Karmaic Institute. ↑ Aldred, Cyril (1984). The Egyptians. London: Thames and Hudson.